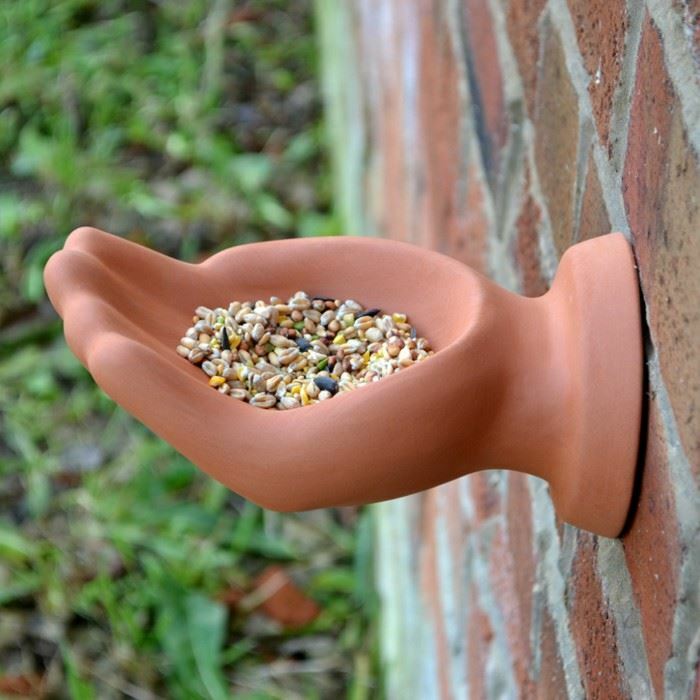 This novel hand bird feeder has been designed for fixing on walls, fences & pergolas around the garden. 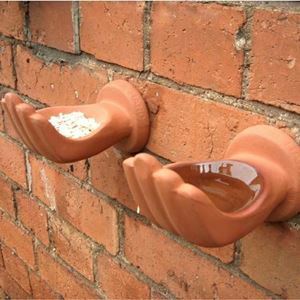 A helping hand for hungry birds. 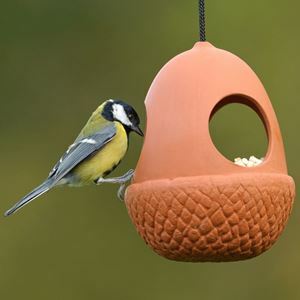 Fixing with a screw is easy, this terracotta bird feeder has a slot in the back to locate on a screw head. 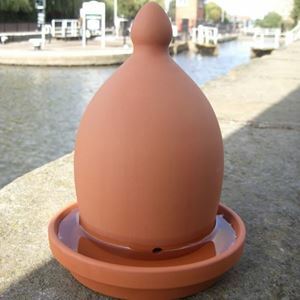 A drainage hole in the palm will help prevent water-logging.